Heroes: Patch 2.10.0 has arrived! Weapon refines! GHB Abyssal Maps! Golden Ducky! 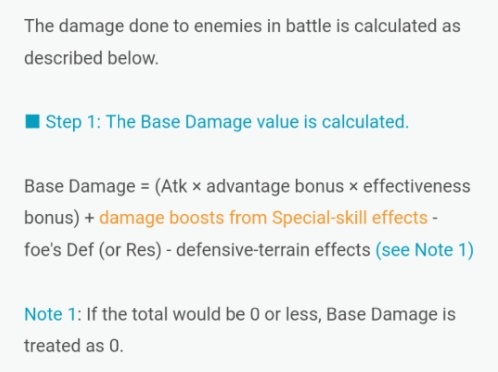 Help text consistency changes for certain special skills, and explanation for how damage is calculated. First up: Abyssal difficulty has been added to the seven Grand Hero Battles that were introduced into daily rotation on the 13th of February 2018. They all look pretty neat, to be honest. I think the Golden Mysterious Mask will see a lot of use, too. Today is coincidentally Navarre’s turn in the daily rotation, and beating his map on Abyssal difficulty will net you the glorious Golden Ducky. Get on it! Click “Read more” below for more details on this patch update. Next up: The option to use Data Lite Version, as opposed to the HQ Version of Fire Emblem Heroes. Intelligent Systems must have had many concerns from players regarding the overall size of the game – especially as it continues to grow with every update. The current size of the game in HQ is 1224.6MB. Lite will reduce this to 277.7MB. That’s over 77% decrease in App size. The graphic and sound quality will be lower with the Lite Data version, but if your phone’s internal memory is running too low for comfort or you can’t play Heroes at all because it’s too big, this will be a godsend. New players will have the option to use Lite from the get-go, so re-rolling for your favourites will be much less painful, should new players wish to go that route. 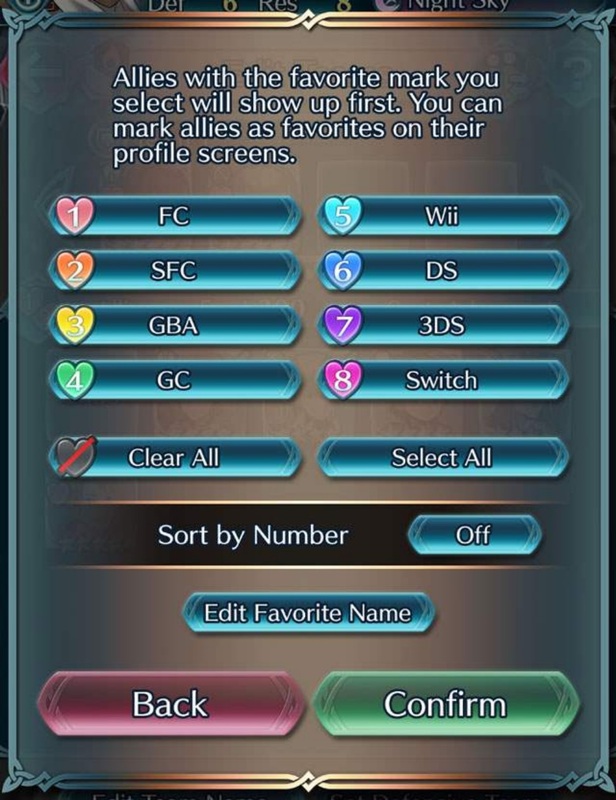 If you wish to use the Lite version, make sure your Fire Emblem Heroes account is linked to your Nintendo Account. I cannot find confirmation of whether or not your account progress will be deleted, but the update specifically says that game data will be deleted and replaced with the Lite version. So, better to be safe than sorry. Link your accounts – even if you’ve no intention to use Lite. Next up: New weapons and refinery skills for Tana’s Vidofnir, Lon’Qu’s Solitary Blade, and Innes’ Nidhogg! 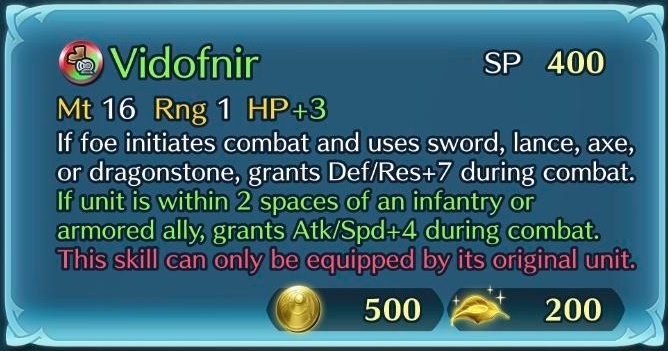 As normal, you can upgrade these weapons using Arena Medals, Divine Dew (obtained primarily through using Refining Stones) and the Hero’s own SP, via the Weapon Refinery menu. 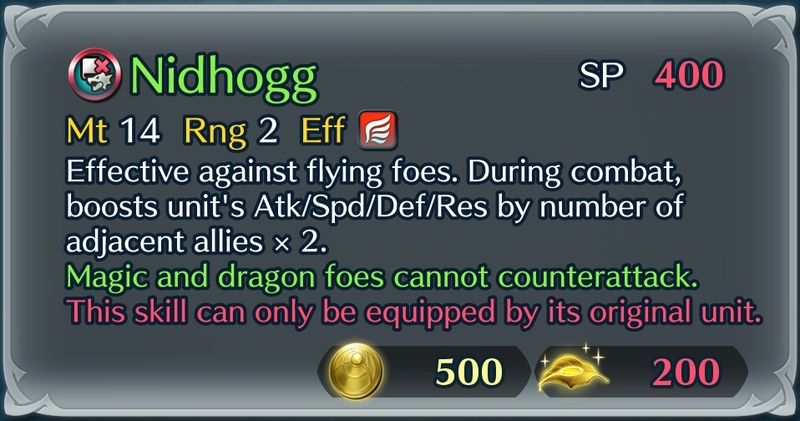 These weapons will also receive +Atk, +Spd, +Def and +Res variants, however these will miss out on the special skill effect shown in green text in the above images. Next up: The ability to change the names of your favourite markers! Name them whatever you want. Use them to help you keep track of which colours you assign to your current projects, future projects, completed projects, or even by game console, as per the example provided by the game devs above. Finally within this update, we have consistency edits to the help text for certain Special skills. 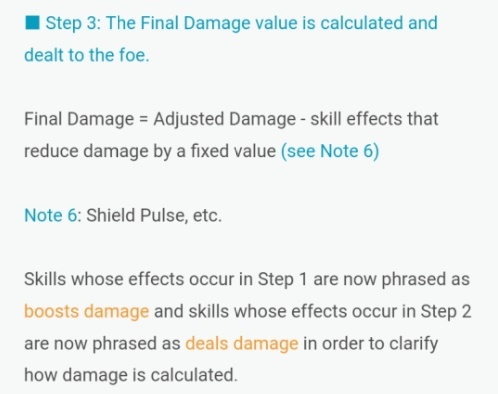 The affected skills are Retribution, Reprisal, Vengeance, Dragon Gaze, Draconic Aura, Dragon Fang, Glowing Ember, Bonfire, Ignis, Chilling Wind, Iceberg, Glacies, Regnal Astra, and Fire Emblem. 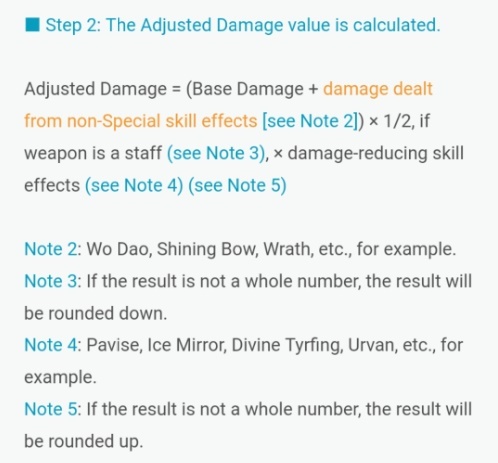 Damage output remains the same – nothing has been changed internally. That’s it for the 2.10 Heroes update! What are you most looking forward to with this? Do I even have to ask? Of course it’s the Golden Ducky – available today in Navarre’s Abyssal map. If you don’t manage to obtain it today, there’s always next week! I’m not really looking forward to what Abyssal Robin’s map looks like, but otherwise I’m prepared to take them on. All I really want is that pimping Milter for my Wrys. There’s no real incentive to play these abyssal maps when all you get are arbitrary cosmetics. The nice thing about Abyssal maps are that the only things you get are an accessory and bragging rights, so people who don’t want accessories or don’t want to take on the challenge can skip them with lttle remorse. I’d imagine there would be a lot of frustration if they gave out Orbs instead. When you put it like that, I suppose it’s not all too bad. But at the same time, it’s functionally useless and leaves me with less things to strive for in an already fairly weak game. No game will ever be without its flaws and it’s hard to depend entirely on one game to satisfy your cravings, so the best thing to do if you find yourself wanting more is to find yourself an additional game to play that hopefully has what you want. FEH seems like it’ll be in the market for the long run, so just waiting for more fulfilling content to come by is alright too. I guess that’s true. I was mostly busy being ticked that it didn’t come with a 5S GHB Unit like I’d initially hoped. I’m happy with anything somewhat difficult, to be honest. The game is either quite easy in PVE or luck/money related/prohibitive in PVP (arena). The abyssal maps keep me busy for a while every time. Aaaaaand sadly, the GHB abyssals are quite easy. Even Robin’s is rather easy if you have a strong red mage (i used H!Nowi +1). “no real incentive” you mean other than looking dope as hell? Caring about that rather than gameplay substance sums up the state of this community. I find it funny that Tana’s refine give infantry and armor synergy considering the current, armor dominate meta. Hopefully this is foreshadowing an update that makes a much needed change to the arena score that will actually encourage mixed teams and discourage pure teams. I could care less about these gold accessories after clearing the accursed Abyssal maps! All that matters to me is pride of glory!